Bartlett Open House, Sunday, June 10 from 2-4! Bartlett, TN Home for Sale! For more information, contact Melissa Thompson at (901) 729-9526. Visit http://www.crye-leike.com/memphis/10022528 to view more pictures of this property. 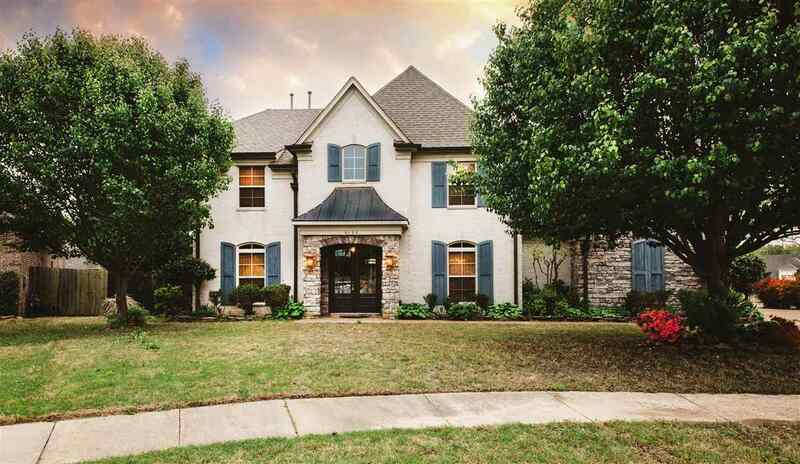 Live Large in this 4BR,3.1BA Home Situated on 1Acre Featuring New Gleaming Hardwood Flrs,New Carpet,2-Story Foyer,Skylights,Romantic Fireplace in the Spacious Great Rm w/Coffee Station/Wet Bar,Lovely Formal Dining Rm,Wonderful Living Rm,Remodeled Eat-In Kitchen w/New Durable Tile Flrs,Island,Built-In Desk & Full Complement of New Stainless Steel Appliances(Double Oven),Downstairs Master w/Luxury BA,Updated Half BA,Laundry Rm w/Cabinets & New Countertop & Sink,2Car Garage,Central Vac,Zip-Line,Nice Covered Breezeway & Deck!Bartlett Schools! For more information, contact Melissa Thompson at (901) 729-9526. Visit http://www.crye-leike.com/memphis/10025709 to view more pictures of this property. 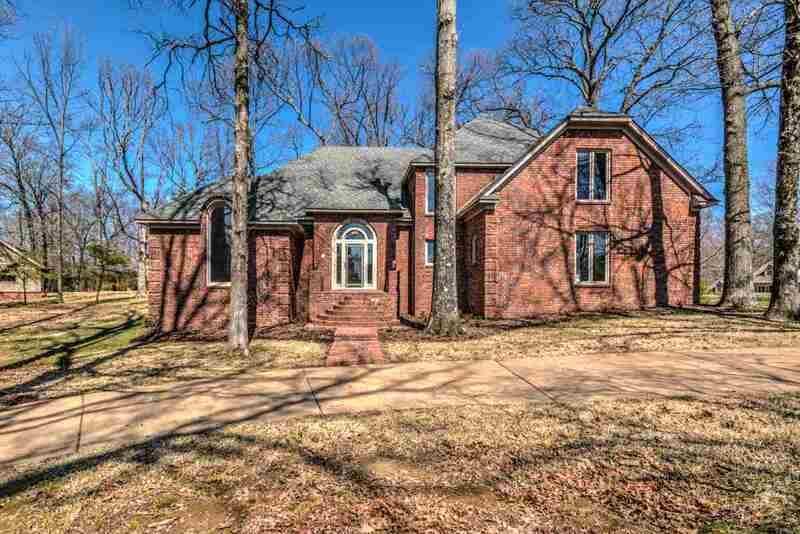 Spectacular Updated 2-Story Bartlett Home in the Ravencrest Subdivision Overlooking the LAKE!Spacious 4BR or 3BR w/Theater Rm w/Awesome Wet Bar. Smooth Ceilings.Gorgeous Wood Flrs.NEW Carpet.Updated Fixtures.Spacious Great Rm w/Romantic Fireplace Framed w/Arched Built-In Bookshelves w/Cabinets.Gourmet Eat-In Kitchen w/Desirable Corian Countertops & Full Complement of Stainless Steel Appl.Formal Dining Rm.Warm & Inviting Living Rm.Master Down w/Luxury BA.2Car Garage w/Storage. Bartlett Schools! For more information, contact Melissa Thompson at (901) 729-9526. Visit http://www.crye-leike.com/memphis/10020943 to view more pictures of this property. Fresh New Look! Move-In Ready 3BR, 2BA Bartlett Home Featuring New Carpet, Fresh Neutral Paint, Resurfaced Tubs, Delightful SunRm Overlooking the Fenced Backyard, Spacious Great Rm w/Loft Overlook, Lovely Dining Rm w/Wood Flrs, Wonderful Eat-In Kitchen w/Durable Tile Flrs & Pristine White Cabinetry, Romantic Downstairs Master Suite w/Luxury BA w/Whirlpool Tub & Sep Shower, Bonus Rm w/Bay Windows, Porches & Balconies Galore, Oversized Garage! Great for Family & Entertaining! Bartlett Schools! Live large in this beautiful Bartlett home that you will have to see to believe! Built for entertaining, this spacious home offers an open floor plan with impressive formal rooms, plus comfortable everyday living spaces. You will be impressed the moment you walk in the door and enter into the gracious two-story foyer leading to the spacious, warm and inviting great room, which is the perfect spot to relax at the end of the day. Style and utility are masterfully fused together in the wonderful eat-in kitchen equipped with a full complement of appliances including double ovens. Snuggle up next to the cozy fireplace in the awesome hearth room open to the kitchen. Host the finest dinner parties in the lovely dining room embellished with a dazzling chandelier. You will rest easy in your romantic downstairs master retreat complete with a spa-inspire luxury bathroom featuring an elongated double sink vanity, relaxing whirlpool tub, and a divine walk-in shower. The built-in desk, shelves, and drawers in the large bonus room make this space great for an office or homework area for the kids. The covered patio is perfect for cookouts and parties! Enjoy romantic evenings in the sparkling hot tub under the nice gazebo. The handyman in the family will love the workshop complete with power and a wall AC unit. Call The Melissa Thompson - Your Key to Memphis Real Estate Team with any questions or to schedule a private showing (901) 729-9443. This charming, one of a kind home has space-space and more space! Welcome home to 3859 Stonehill Drive located in the Easthill Subdivision in Bartlett featuring 4 bedrooms (2 down), 2 bathrooms, gleaming wood floors, large walk-in attic, NEW carpet, fresh paint, NEW AC unit, laundry room with cabinets, gracious entry hall, bonus room with separate entrance, and so much more! Snuggle up by the romantic fireplace in the spacious great room featuring an eye-catching wood beamed ceiling. Cooking will be a delight in the wonderful eat-in kitchen equipped with durable tile floors and a full complement of appliances. Host the finest dinner parties in the lovely dining room with a chair rail. Play, party or entertain in the huge bonus room complete with a sink and separate entrance. This space makes a great office or mancave! Sit back and relax outside in the large fenced backyard with a delightful patio and a nice storage building. This amazing home is in the sought after Bartlett School District. Don’t miss out on this FABULOUS Bartlett Home! Call The Melissa Thompson - Your Key to Memphis Real Estate Team with any questions or to schedule a private showing (901) 729-9443. Welcome home to this incredible 4 bedroom, all on one level, Bartlett home situated on a beautifully landscaped lot in the Daybreak subdivision overlooking the golf course. Quality features include an open and airy floor plan, smooth ceilings, plantation shutters, New HVAC unit, romantic fireplace, built-in bookshelves, laundry room, attic, 2 car garage, workshop and more! As you walk through the front door you are welcomed into the gracious entry. Enjoy comfortable everyday living in the spacious great room enhanced with built-in bookshelves with cabinets and a cozy fireplace, perfect for those cold winter nights. Host the finest dinner parties in the lovely dining room. Cooking will be a delight in the wonderful eat-in kitchen equipped with a full complement of appliances. The charming breakfast area is the perfect spot to enjoy your morning coffee. You will rest easy in your very own romantic, luxurious master suite featuring a spa-inspired bathroom enhanced with a relaxing whirlpool tub, divine walk-in shower, and an elongated dual sink vanity. The handyman in the family will love the workshop with a convenient sink. This terrific home is in the sought after Bartlett School District. Do not let this Bartlett home getaway! Call The Melissa Thompson - Your Key to Memphis Real Estate Team with any questions or to schedule a private showing (901) 729-9443.